The first real major retrospective of Linda’s photographic work has gone on exhibition in Vienna, in the magnificent Kunst Haus Wien. The Kunst Haus Wien was designed by the Austrian artist Friedensreich Hundertwasser (1928-2000) and two floors of the gallery are devoted to his work. Hundertwasser was unique – a painter, designer and architect, he believed that life was not meant to be lived in bland square boxes. His work is characterised by bright colours and no straight lines. It’s worth going to the Kunst Haus just to see and, most importantly, experience his work – once experienced, it is not easily forgotten! Linda McCartney’s Photography retrospective is located on the top two floors of the museum. Linda studied at the University of Arizona where she first became interested in photography. Her influences include the photographers Walker Evans (1903-1975) and Paul Strand (1890-1976), both of whom specialised in personal, close observation work; something that Linda herself excelled in. The exhibition is split into 5 sections. Here the exhibition focuses on Linda’s special approach to photographs, with its cultural elements of trust and understanding. One of the highlights is the C-Type (chromogenic) print (of which there are many in this exhibition) entitled ‘My Love’ of Paul’s face viewed through the rear view mirror, taken by Linda from the back seat. 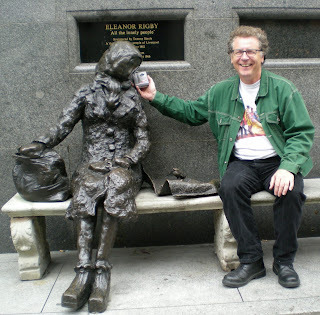 The picture was taken somewhere in London (along the no. 4 bus route) and captures the red sky above in a fascinating, evocative way. There is also a wonderful photo of horses in the snow taken in 1986, which captures two horses at play and two in a ‘contemplative mood’. Linda caught that magical moment through her lens, making this one of the best shots from this section. Here we have pictures of Jimi Hendrix, Simon and Garfunkel and the Rolling Stones. Linda was working as a receptionist at Town and Country Magazine when an invitation came in to attend a promotion party on the Sea Panther in 1966 for the Rolling Stones new album. Linda grabbed the opportunity and took some great shots which are exhibited here. Rolling Stone Magazine published her picture of Eric Clapton on 11 May 1968 on their front cover, making Linda the first woman photographer to achieve this feat. 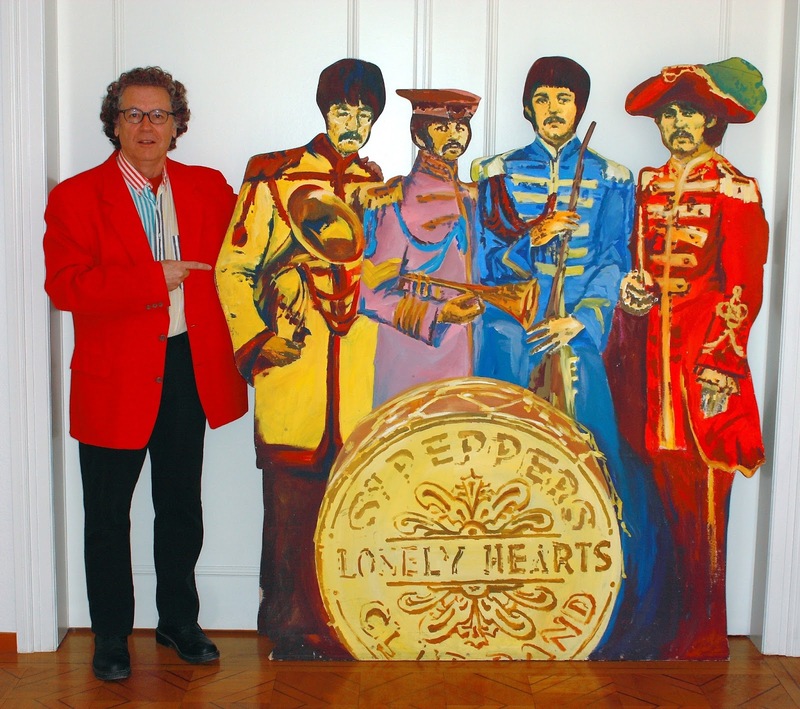 Her subsequent pictures of such artists as The Yardbirds, Frank Zappa, Janis Joplin, Jim Morrison, Twiggy, Judy Collins, and, of course, The Beatles, suddenly brought Linda to the public eye. There is a video in the exhibition of The Grateful Dead featuring Linda’s pictures which encapsulates the spirit of the 60s. Included in this section are fantastic photos of Linda taken by Paul McCartney, Graham Nash and Jim Morrison. The majority of her black and white photographs in this section are bromide print. Linda’s intimacy with both her family and with her camera produced fabulous, natural shots of the McCartney clan, their animals and their friends. There is a wonderful shot of Denny Laine with a horse, taken in Scotland in 1977. A selection of 30 small Polaroids is included with a very interesting image of John Lennon in 1974 when the Maccas met up with John and May Pang in Los Angeles and recorded the session that became the bootleg “A Toot and a Snore in ‘74”, allegedly the last ever meeting between John and Paul. We also have a lovely picture of son James looking through an eye glass, plus a photo from 1971 of Paul in Liverpool behind which Camerons Whitbred Pale Ale is displayed. There is a great shot from 1979 taken of the heads of local Caribbean children over which are imposed images of Paul and Stella, which shows Linda’s clever manipulation of the photographic image. Linda experimented with old photographic processes as well and some of her sun prints are displayed in this section. The influences of Walker Evans and of Henri Cartier-Bresson are particularly strong in this section. Linda’s animal rights concerns are clear with photographs of animal carcasses hanging in butcher shops. One image that stands out is that of hares hanging down from a rack with plastic bags over their heads. What is most striking is that these images are of familiar scenes, the barbarity of which are revealed in Linda’s photography. The best photo here is one showing Paul reflected in a mirror holding a camera but which was taken by Linda. Flanking the mirror are two balloons with the markings “Listen to this Balloon” and “Happy Xmas Apple R5970” (note the UK Catalogue number). Was this a meeting between John and Paul in New York City in 1974, or is it Paul parodying John’s “Listen to this Button” ‘Walls & Bridges’ promo campaign? A sixth section would have been welcome which explained in detail the different photographic techniques and processes Linda used but all in all this is such a great exhibition and one you must see. For more information on this fabulous exhibition, including images of some of Linda's iconic photographs, click HERE! 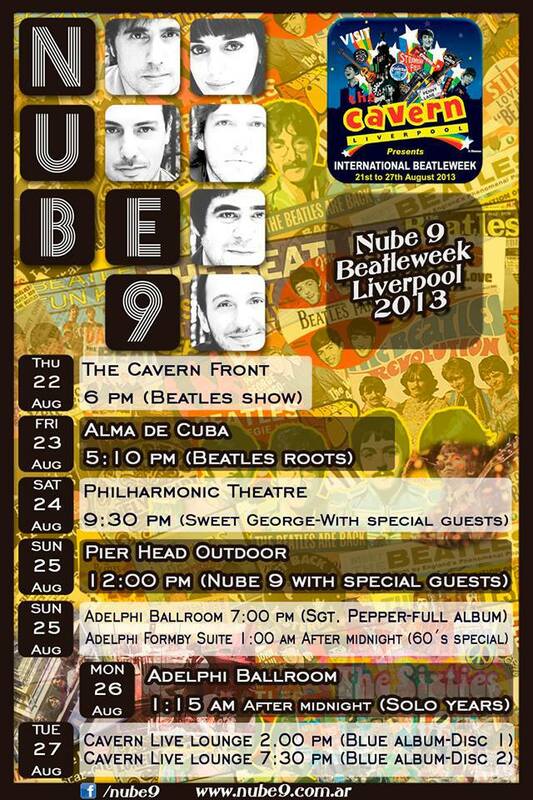 Here's the schedule for Nube 9, one of the regular, and most popular, bands at Beatle Week! 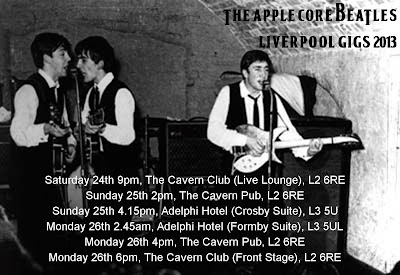 Liverpool’s Cavern Club Beatles are entering a new dawn this week as the band sees the departure of The Coburn brothers, Jimmy and Tony. Liverpool’s Cavern Club Beatles are entering a new dawn this week as the band sees the departure of The Coburn brothers, Jimmy and Tony. The two who played John Lennon and Paul McCartney in the band are heading off to New York to play respective roles in the Broadway show ‘Let It Be’ which starts next month. But fear not…the Cavern Club Beatles show will go on with the brand new line-up which features Steve Howard (of Mersey Beatles fame) and Paul McDonough (formerly of Backbeat Beatles). Cavern Director Bill Heckle says “The Cavern Club Beatles have continued to grown in stature and amaze everybody with their live sell-out show. It is with a touch of sadness mixed with a huge amount of personal pride that we can announce the departure of Tony and Jimmy Coburn have left the band temporarily to star in the Broadway version of ‘Let It Be’. It is a dream come true for both of them who have worked tirelessly throughout their careers to end up in Broadway and we all wish them the best of luck. 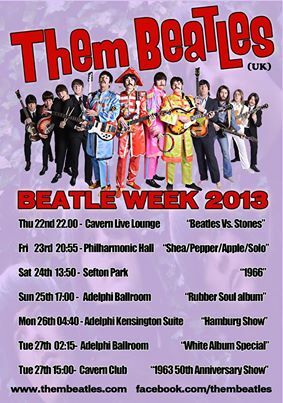 The new line-up will also be entertaining International Beatleweek audiences at the Liverpool Philharmonic show on Friday 23rd August where they will be performing the early Beatles set (from 1962 to 1964). On the same bill that night will be Scotland’s finest ‘Them Beatles’ who will perform the Beatles later years from 1965. 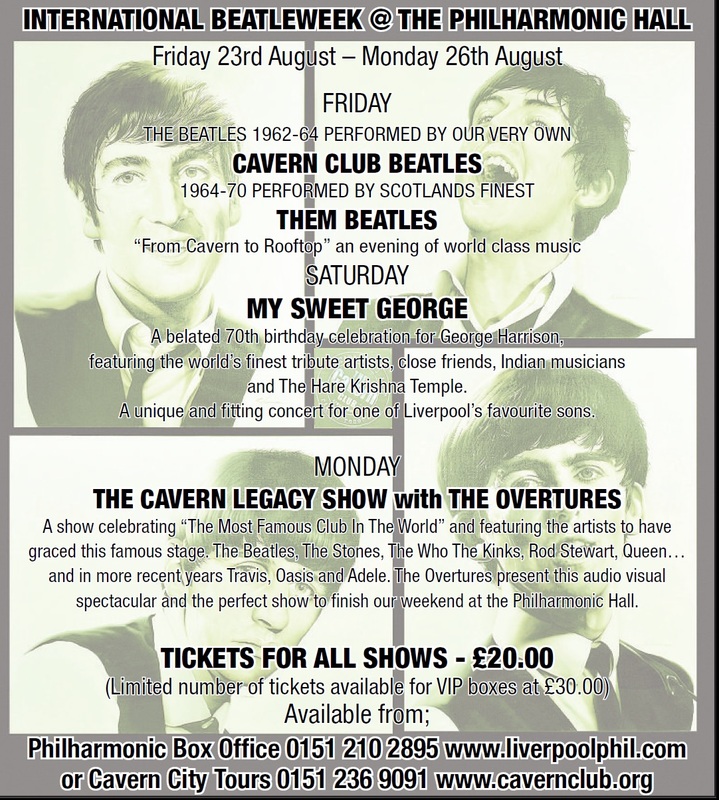 The Cavern Club Beatles perform every Saturday in the Cavern Live Lounge – visit our what’s on page to purchase tickets. We strongly recommend early booking as this show sells out weekly. The City Barge pub, based at Strand on the Green, Chiswick, London, W4, is well known to Beatles fans. It is the pub where the Beatles retreated to in the film ‘Help!’, only for Ringo to fall through a trap door into a cellar where he met the Beethoven-loving Bengal tiger. In reality the pub doesn’t have a cellar due to its location close to the Thames, but there were a number of shots of The Beatles featured in the film that were filmed at this location. 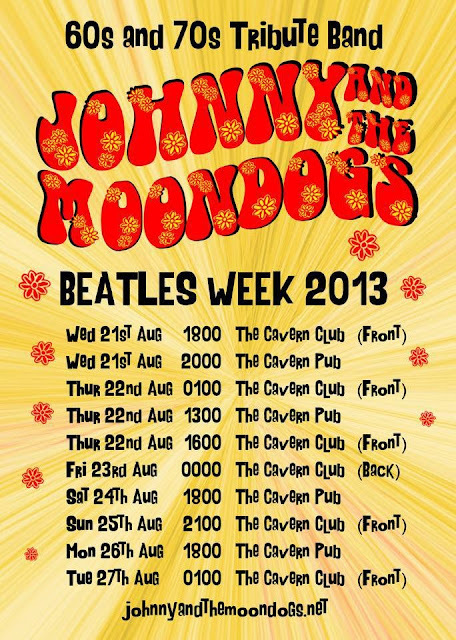 On Sunday 28th July, the pub celebrated this Beatles connection with a special event. From 2.30 a tribute band, The Apple Core Beatles, played three sets from the balcony overlooking the Thames into the early evening. A barbeque feast was laid on and we were treated to some glorious weather (apart from the odd bit of rain that caused the band to stop for a short while). 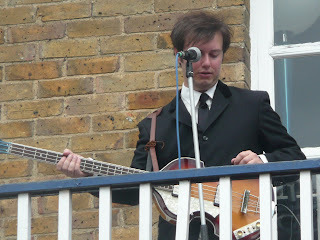 The first set featured songs from the films ‘Help!’ and ‘A Hard Day’s Night’, focusing mainly on the Beatlemania years. The Apple Cores’ drummer couldn’t play that gig but we were introduced to ‘Jimmy Nicoi’, his replacement. The second set was the most interesting of the three as it featured a number of George tracks including ‘Here Comes The Sun’, ‘If I Needed Someone’ and, to the crowd’s delight, the Traveling Wilbury’s song ‘Handle Me with Care’. At last George’s songs were performed on a par with the Lennon & McCartney ones. Most of the material played was from the early albums and it got the crowd up on their feet, dancing away the afternoon. Songs from the later albums were also played, notably ‘Back in the USSR’, ‘Get Back’ and, of course, ‘Hey Jude’. From what I could gather, the majority of those there were regular customers and have probably never seen a Beatles tribute band before, so all in all it was a great event for the locals. The Apple Cores are working hard on their harmonies and we look forward to hearing some more polished performances. It was a great day in beautiful sunshine at a Beatles film location- what more could you want- and to top it all the film ‘Help!’ was being shown throughout the day inside the pub, and the beer is good! Celebrate the 50th Anniversary of the Beatles Last Show at the Cavern! 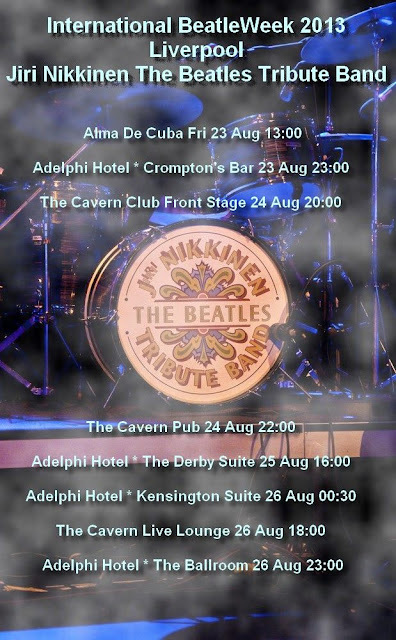 The Cavern, the most famous club in the world, will open its doors to the world to celebrate this occasion with a weekend of Live Music. The Beatles played the legendary Mathew Street venue 292 times between February 1961 and August 1963 before going on to conquer the world. The Cavern originally opened in 1957 as a jazz venue and continues to this day to be a thriving live music venue as well as a major visitor attraction. “The Ian Prowse Monday Club” presents a special show featuring the very best in new song writing. His regular Monday night in the Cavern pub is a hub of creativity, a chance for Liverpool artists, song writers and poets, to try out their new material in front of an appreciative and supportive audience. Beatle Week Schedule for the Fabulous "Johnny and the Moondogs"! 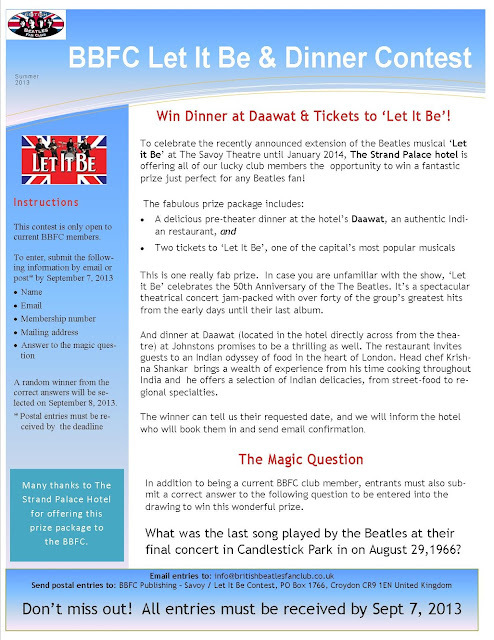 New Competition: Win Tickets to LET IT BE, with dinner included! NB: All photos are used here with the kind permission of the copyright holder. Please DO NOT download or reproduced without the express permission of Donna Jackson and the British Beatles Fan Club. 94 Baker Street gets a psychedelic revival - July 31 at 9.16pm! 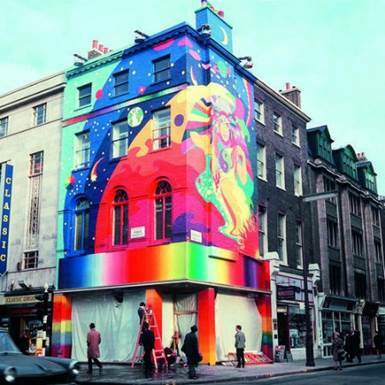 94 Baker Street, the former headquarters of The Beatles, will be lit up with a special light projection in tribute to the band on Wednesday 31st July. The projection will be a contemporary interpretation of the psychedelic-style mural that adorned the building in its heyday, and is to celebrate the converting of the building into residential apartments, aptly named ‘The Apple Apartments’. The projection will take place at 9.16pm. The exterior of the building has a blue plaque, unveiled earlier this year, to celebrate John Lennon and George Harrison’s links with the former Beatles HQ. The building sits on the corner of Baker Street and Paddington Street, Marylebone W1. In the mid-1960s the often rigid and colourless British way of life was irrevocably transformed by the emergence of a cultural underground movement. Led by a loose collective of young radicals, they introduced new social, sexual and aesthetic perspectives. Operating out of the heart of London, their various activities, from 'The International Times' - a bi-weekly journal that no hipster could be seen without - to the psychedelic nightclub UFO, promoted alternative lifestyles and values, and sparked a social revolution. 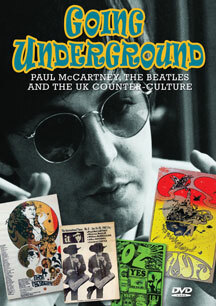 This film not only traces the history of this underground scene, but also explores its impact on the pre-eminent British group of the era, The Beatles. Although they were well established by the time the movement emerged, Paul McCartney in particular, was closely linked with several of its key players, and through his exposure to cutting edge concepts brought ideas directly from the avant-garde into the mainstream. Featuring many new interviews with key players from the time including; IT editor and long term friend of Paul McCartney, Barry Miles; founder of IT and UFO club organiser, John 'Hoppy' Hopkins; founder of UFO and Pink Floyd producer , Joe Boyd; Soft Machine drummer, Robert Wyatt; drummer from experimental improvisational collective AMM, Eddie Prevost; proprietor of Indica, the counter-cultural gallery, John Dunbar; Underground scenester, vocalist with The Deviants and IT journalist, Mick Farren; plus author of 'Days in the Life: Voices from the English Underground 1961 - 1971', Jonathon Greene; Beatles expert, Chris Ingham and Mojo jounalist Mark Paytress. Also includesrare archive footage, photographs from private collections and music from The Pink Floyd, The Beatles, Soft Machine, AMM and others. 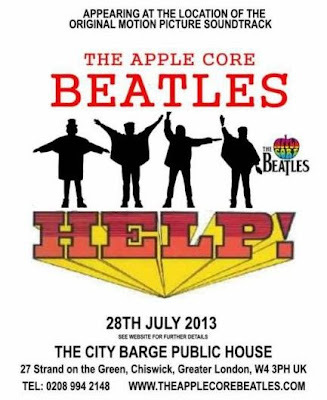 The Apple Core Beatles at the City Barge on Sunday! The Apple Core Beatles will be playing at the City Barge pub (a location in Help!) in Chiswick this Sunday, July 27. There will be a barbecue and cider festival at the pub, also the film will be shown in the pub throughout the day. The event will be running from 2-6 and the band hopes to see lots of BBFC members at the event! Amazing Experiece for Two Oxford 'Beatle' Graduates! Two Oxford Experience students who had studied “The Beatles, Popular Music and Sixties Britain” with Rikky Rooksby attended the the Paul McCartney sound test at the BOK Center in Tulsa, Oklahoma on May 29, 2013 got the experience of their lives when they were invited up onto the stage to meet Paul. Charles and Sherry Heard had held up a sign saying "We studied Beatles at Oxford - Please sign our diplomas"
Paul added, "Well, anyone who studies The Beatles at Oxford is a friend of mine." Then he signed their certificates and said "And now, I confer upon you the honor of 'Beatle.'" 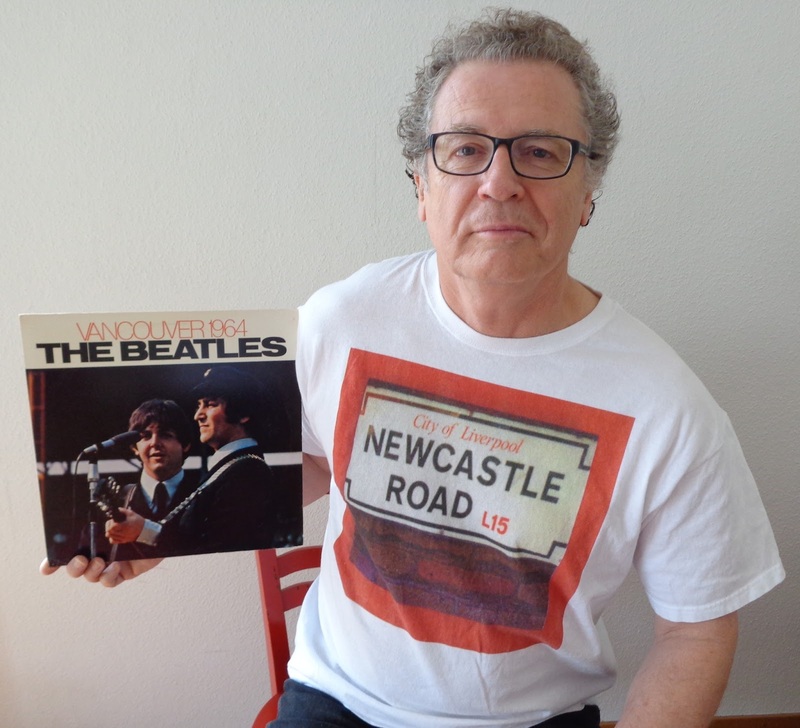 Rikky Rooksby will be teaching the course “The Beatles, Popular Music and Sixties for Oxford Experience 2014 from 20 to 26 July. 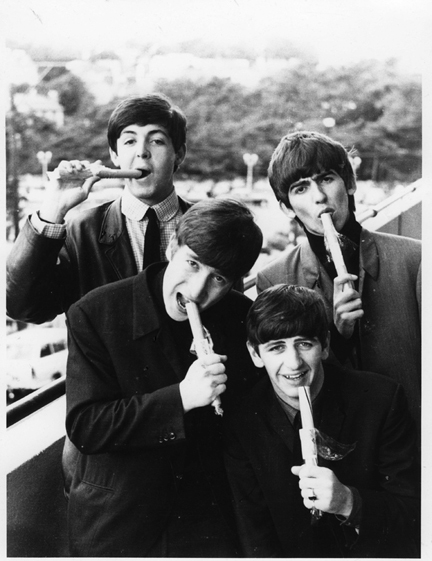 Exhibition - The Beatles & Bournemouth - Opens August 15! To mark the 50th anniversary of The Beatles’ first shows in Bournemouth, on 19 August 1963 when they opened a six-day residency at the Gaumont (now the Odeon) cinema on Westover Road, a new exhibition celebrating their many connections to the town is to open. The Beatles played more shows at the Gaumont than in any other UK theatre outside London, notching up no less than 16 shows between August 1963 and their final visit on 2 October 1964. 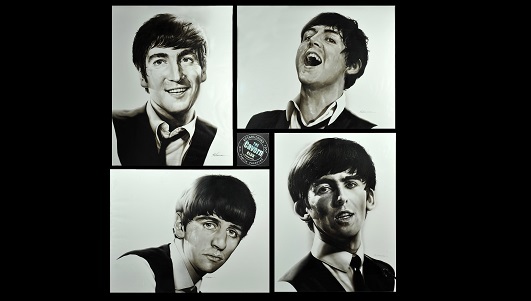 The exhibition, at the Beacon Hotel on Priory Road, Bournemouth, includes dozens of photos of The Beatles in Bournemouth, as well as posters, handbills, reviews and programmes from the group’s four visits to the town. There are various other photos from Robert Freeman’s photo shoot of the boys at the Palace Court Hotel on Westover Road that produced the iconic half-shadow sleeve shot for their second album, With The Beatles. taken by Harry Taylor (copyright Dave Robinson). Also at the Beacon Hotel you can find the main venue sign, a section of stage and some seats from the historic Winter Gardens theatre where The Beatles played on 16 November 1963 and were filmed for US television – the first footage America was to see of the Fab Four. Much interest is bound to fall on the remarkable photo of John Lennon with his young son Julian and his Aunt Mimi at Sandbanks Ferry, just yards from the harbourside bungalow he bought for Mimi in 1965 and where he visited her many times before he left these shores for good in 1971. The exhibition tells an incredible story of how a small resort on the south coast of England came to play a significant part in the history of the greatest rock ‘n’ roll group of them all. In conjunction with the exhibition there is a new restaurant opening at the Beacon Hotel in August. The Bournemouth Rock Cafe uses Harry Taylor’s iconic ‘Stick of Rock’ photo as part of its logo and will be serving gourmet burgers and a full menu in rooms that are adorned with Bournemouth music memorabilia from all eras and genres. Fans of the Beatles show their affection for the legendary band from Liverpool in various ways. 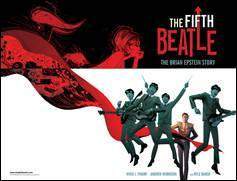 Some create websites celebrating the lives and careers of the Fab Four. Others turn a room in their home into a shrine, with album covers, photographs, posters, books, concert and movie DVDs and assorted memorabilia taking centre stage. Others travel to London to visit the famous crosswalk that featured on the cover of the album Abbey Road and the building on whose roof the band last played live in public. From there they journey to Liverpool to see the numerous locations associated with the early lives of Ringo, John, Paul and George. And those with sufficient musical ability of their own form Beatle tribute bands that draw their repertoire from the more than 200 songs penned by Liverpool’s most famous sons. But a BBFC member based in Zurich, Switzerland, and like-minded musicians based in Vancouver, Canada, have teamed up and gone a bold step further by writing and recording eight songs that describe the experience of being inspired and influenced by the creativity of The Beatles. 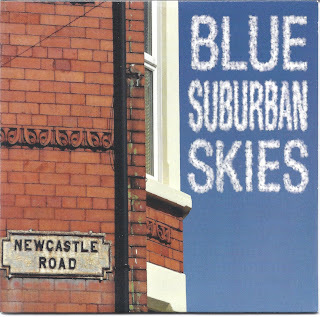 Under the name Newcastle Road – deliberately referencing John Lennon’s first childhood address and their own northeast roots - they have just released a CD called Blue Suburban Skies that consists of eight songs designed to strike a chord with Beatlemaniacs from Alaska to Zanzibar. to an early demo of “Celebrate The Beatles”. Eleanor is mentioned a couple of times on songs on Blue Suburban Skies. The vocal and musical “front man” of Newcastle Road is Tim Readman, a resident of Vancouver since 1987, having relocated to the West Coast of Canada from the North East of England. His career spans more than 30 years and covers every genre of folk and popular music imaginable. In recent years he has been a fixture on the Vancouver folk scene and also acting as the artistic director for the Vancouver Celtic Festival. His band Fear of Drinking made a big splash in the Celtic music world and he has performed widely in North America and the UK. The lyrical content on Blue Suburban Skies is the work of BBFC member Alan Millen, 61, who has resided in Switzerland since 1987. Alan was born near Newcastle on Tyne, spent his formative and early adult years in Canada before leaving for Switzerland, his wife’s home country, in 1987. He earns his living as a German-to-English translator specialising in the airline industry and subtitling Swiss films into English for film festival screening. in Vancouver on August 22, 1964, their first ever appearance in Canada. 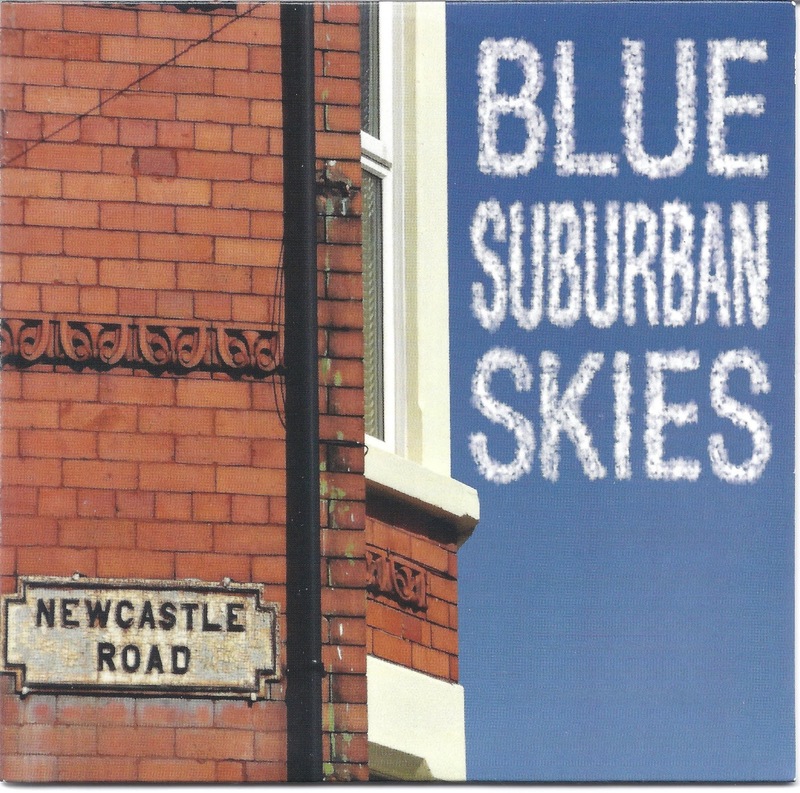 Musically, the songs on Blue Suburban Skies all have a distinctive “Beatle-esque” flavour. The lyrical narrative explores experiences readily familiar to Beatle fans: visiting the famous Abbey Road crosswalk, recalling the impact of The Beatles on North American teens with their legendary debut on The Ed Sullivan Show in 1964, attending Liverpool’s annual Beatle Week festival – which Alan will do for the 12th time this August - and reminiscing about the thrill of receiving a Beatles album for Christmas while growing up during the Sixties. 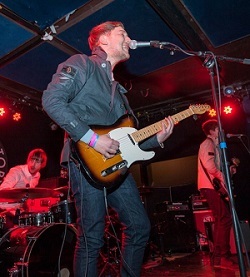 The vocal and musical front man of Newcastle Road is Tim Readman, a resident of Vancouver since 1987, having relocated to the West Coast of Canada from the North East of England. His career spans more than 30 years and covers every genre of folk and popular music imaginable. In recent years he has been a fixture on the Vancouver folk scene and also acting as the artistic director for the Vancouver Celtic Festival. His band Fear of Drinking made a big splash in the Celtic music world and he has performed widely in North America and the UK. Their joint love of Beatle music inspired Tim and Alan to create their own original tribute to the musicians to whom they owe so much. 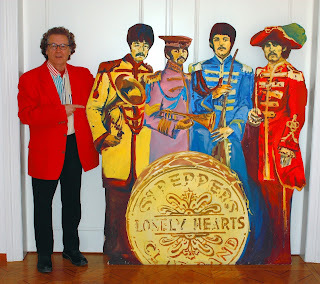 “We wanted to show our appreciation in a way we think the Beatles themselves would have approved of,” says Alan, “namely by creating something completely original but with a clear nod in their direction.” Among Alan’s most prized Beatle-related artefacts include a life-size plywood rendition of the Beatles in their Sgt. Pepper gear, which was discovered in a Zurich junk store a few years ago, and a copy of Revolver signed by cover designer and Beatles insider Klaus Voormann. Sonically, Blue Suburban Skies bears the stamp of renowned Vancouver producer Bill Buckingham, himself a keen Beatles fan. With Alan supplying the lyrics, Tim and Bill hunkered down in the studio to polish the songs and record them to state-of-the-art perfection. The CD will be available from CD Baby, iTunes, Spotify and all leading on-line download sites. It is a little gem of a recording. The Internet first brought Alan and Tim together back in 2002. In the meantime they have released three CDs of songs covering the history of Newcastle United, the team they have both supported since boyhood. In 2008 they released a CD of original material called All Over The Map, for which they adopted the name The Eventually Brothers in collaboration with Canadian multi-instrumentalist Craig McKerron. Playwrights competing in an international Liverpool Festival will introduce their own plays via the medium of film. The eight writers selected for the Beatles-themed Ticket to Write Festival have recorded a brief message to be shown ahead of their entry at the Unity Theatre, Liverpool on Tuesday July 30. “This will really help reinforce the international appeal of The Beatles with writers from the USA , Merseyside and throughout the UK focusing on the home city of the Fab Four”, said Artistic Director, Michelle Taylor, from Crosby, who came up with the idea of the filmed introductions. And members of the audience will have a say in who wins the tasty £150 prize. To mark the 70th Anniversary of George Harrison's birth, this year, four of the entries selected focus mainly George – often dubbed the quiet Beatle. Digital Age by Chris Jenkin, from Aigburth, gives a humorous insight into how things would be if the Beatles were still together today. Double Fantasy by Paul McGuire from Ainsdale, Southport which imagines John and George in Limbo keeping ‘dixie’ on Paul and Ringo on Earth. Darren and George by Phil McNulty of Southport, shows a man with George’s laid back style using his beliefs and spiritual ideals to try to calm a very angry young scally tearaway. “It's also a chance for actors from the North-West to parade their talents”, said Festival Director, Jamie Gaskin, from Southport. Further details and tickets available at www.unitytheatreliverpool.co.uk (£10/£8 concessions) and full details about the Ticket To Write Festival at www.acedrama.co.uk. You can also follow the festival on Facebook (TicketToWriteFestival) and Twitter(@TicketToWrite13).